In recent years, social media has become an essential factor for reaching out to potential customers. It is a powerful tool to boost the exposure of a business. Today, almost everyone is aware of the different social media platforms and are there on one or the other of them. And that is why these platforms are no longer just meant for entertainment purpose but have grown up to become important platforms to promote businesses. Facebook being one such social media platform has been the main source of driving potential customers to the businesses through the business pages. You too might have created a Facebook page for your business because you might have heard that it is essential for every business to succeed. But simply creating the page won’t help you in getting the desired results. To be successful in this evolving social media landscape, you need to have the right strategy, resources, and understanding of how to leverage social media platforms effectively. Without having these insights, it is likely that the businesses might lose the benefits of connecting with their target audiences. How to make your Facebook business page effective? As an aftermath of the Cambridge Analytica data scam, Facebook has changed the algorithm regarding the prioritization of the content shown to the users in their News Feeds. a. Lesser priority will be given to the content shared by business brands and media that does not promote the connectivity between individuals. b. More emphasis will be laid on the content shared by, or engagements from user’s friends, family and groups. This means that the content actively shared or connected to your friends, family or groups is more likely to show up on your news feed. This has made it difficult for the brands to get their content in front of their target audiences. But Facebook has always been an effective advertising and marketing channel for supporting businesses. And so the platform has rolled out various updates to help the brands’ business pages to showcase their content in a helpful way to their potential users. It has updated business pages to improve brand presence, support business goals and ultimately enhance the experience of the target audiences. 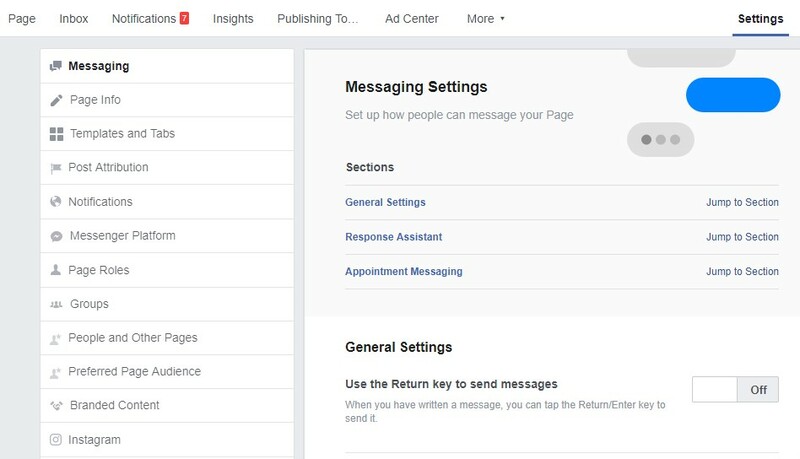 From offering Page Templates to enhanced messenger capabilities, Facebook has multiplied on the amount of customization and tools available to brands. So, in this article, we will provide you some tips to beef up your Facebook business pages. 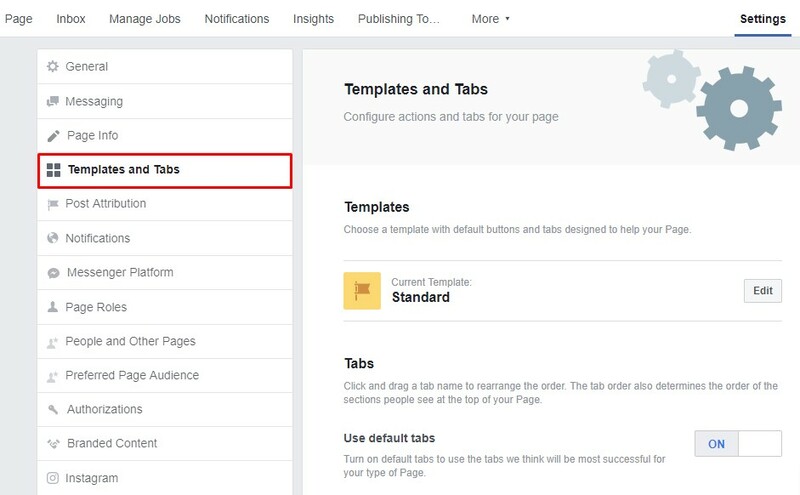 From its one-size-fits-all template to providing more options to customize pages as per businesses’ needs, Facebook has come a long way. It now provides a variety of Business page templates with default buttons and tabs which helps the marketers to showcase their content in a way that best aligns with their business type and goals. All these templates look somewhat similar but they prioritize the content based on the business or industry type. For example, promoting donate call-to-action button for a local non-profit organization. You can find these templates under Page Settings. To get the most out of these templates, make sure to utilize the included tabs and sections to the fullest. You can customize them to add additional information about your business. For example, if you own a restaurant and have a business page for the same then you can upload menus directly to your Facebook page. Just below the cover page of the business page, Facebook provides a prominent call-to-action button. These buttons should be updated based on the current campaigns or offers that support your business goals. However, unlike Hubspot, you can’t make this button say anything you want. A list of standard CTA buttons is available. You have to review that list and select the best match. For example, to drive customers directly to your e-commerce site you can select the ‘Shop Now’ button. Similarly, to let people contact you, you can opt for ‘Contact you’ button. Ensure that you select the CTA button based on your Facebook marketing and advertising goals or as per the content published on your page. The cover image is the first thing that a user sees when visiting your Facebook page. So, it needs to be attractive and in accordance with your brand’s style. Make sure it is of high resolution and with a clear intent. Design the cover image such that it promotes your current marketing campaign or an event or a content piece. 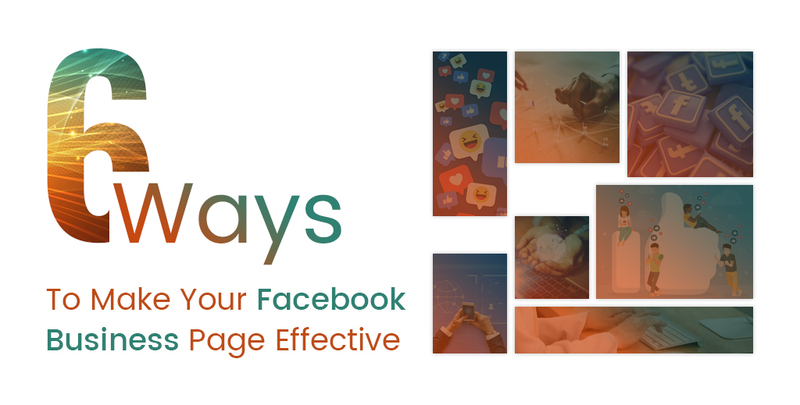 But make sure that both your profile image and cover image are visually appealing encouraging the visitors to explore your Facebook page for more details. You can also try to use the latest trend of multimedia covers or videos instead of static cover images. Facebook now supports 20-90 second videos to let people engage with your brand story. About section is an important part of your Facebook page. Once the visitors are attracted by your page’s visual elements (profile image and cover image) and are prompted to explore your page more, they will move on to read more about your company. So, it is necessary that you provide as much information as possible. This section will provide visitors with a deeper insight into your company. Two-way communication is the key to success for marketing on Facebook. Users feel wanted and heard when they get a response to their messages. So, never ignore messages. Try to respond to them in a way that triggers positive emotions. Facebook messenger is a great way to establish a meaningful relationship with your customers, as it allows the customers to directly contact you through your page. No time or resources to monitor all the messages or concerned about someone reaching out to you at the odd hours of the day? Then, don’t worry! Facebook has now expanded the Facebook messenger to support 24/7 customer service through its automated responses facility. Once the messaging is activated on your page, brand pages can set the automated responses which can be sent to the users in off-hours. This makes you feel connected with them even when you are offline or unavailable. Get a custom URL that matches with the name of your Facebook page. It is good for brand recognition as it makes easier for both the people and search engines to find your page. The first term of the page title in very determinative for Google. So, don’t use generic keywords there. You can change the URL in the about section in Username. Facebook grows, rules and trends change. But we need to be adaptive to these changes to improve the user engagement. And a few updates can drive a huge audience to your business page. Have you optimized your Facebook business page? If not, then it’s time to do so. And if you need any help, we are just a call away. Our social media optimization experts are ready to assist you!